FRANKFURT/ZURICH (Reuters) - GlaxoSmithKline (GSK.L) is buying Novartis (NOVN.S) out of their consumer healthcare joint venture for $13 billion, taking full control of products including Sensodyne toothpaste, Panadol headache tablets, muscle gel Voltaren, and Nicotinell patches. GSK's biggest move since Emma Walmsley became chief executive last year follows the British drugmaker's decision last week to quit the race to buy Pfizer's (PFE.N) consumer healthcare business, endangering an auction the U.S. company hoped would bring in as much as $20 billion. Consumer remedies sold over the counter have lower margins than prescription drugs, but they are typically well-known brands with customers. "The proposed transaction addresses one of our key capital allocation priorities and will allow GSK shareholders to capture the full value of one of the world's leading consumer healthcare businesses," Walmsley said in a statement on Tuesday. Although some pharmaceuticals groups have been keen to hold consumer care products, intense price competition online, mainly from Amazon (AMZN.O), as well as cheaper store-brand products, have led others to doubt their stable returns longer-term. The British group's shares jumped 6.1 percent, outperforming a 2 percent gain in the STOXX Europe 600 Health Care (.SXDP). GSK said that as well as ending the Novartis venture it would start a strategic review of Horlicks and other consumer nutrition products, sparking another potential industry shake-up. The review will include an assessment of its majority stake in India-listed GlaxoSmithKline Consumer Healthcare (GLSM.NS). "The decision not to pay up for Pfizer's consumer assets will have led GSK CEO Emma Walmsley to remove uncertainty by bringing all the consumer revenues in-house and assisting toward efficient capital allocation," said Ketan Patel, co-manager of the Amity UK Fund at EdenTree Investment Management, who holds GSK shares. "Long-term investors will welcome the greater clarity this brings to both companies." GSK said that the purchase would boost adjusted earnings and cash flows. Pfizer has been struggling to sell its consumer healthcare business after GSK and Reckitt Benckiser (RB.L) both dropped out of the bidding, while differences in price expectations have also hobbled German drugmaker Merck KGaA's (MRCG.DE) attempts to sell its consumer products unit. And GSK's call for bids for its consumer healthcare nutrition brands - with a regional focus on India - could detract attention from Merck's asset, which relies heavily on sales of vitamins and dietary supplements in emerging markets. Barclays analysts said Glaxo was paying less than 17 times expected 2018 core earnings for the joint venture stake, while sources have told Reuters that both Merck and Pfizer had asked for up to 20 times for their respective assets. Yet analysts at Baader Helvea welcomed the cash price fetched by Novartis as "excellent news" for the Swiss company, whose shares opened 1.9 percent higher. 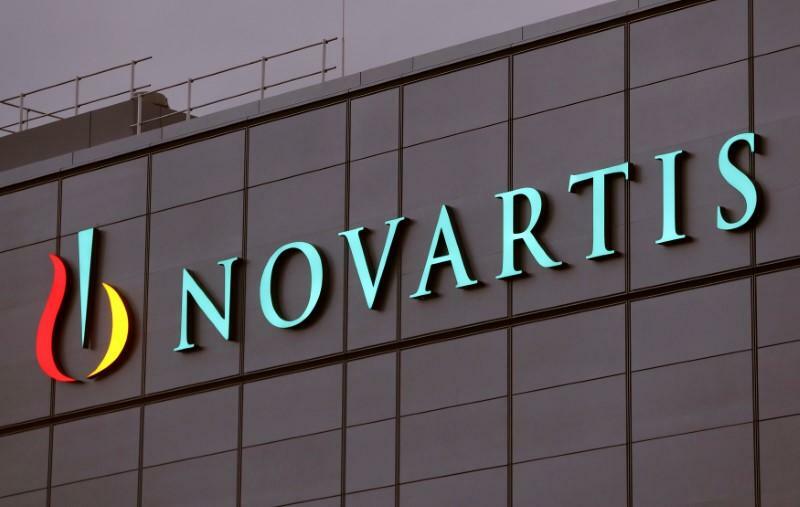 Deutsche Bank analysts said the move decluttered Novartis's portfolio, but cautioned that the Swiss group was being too vague about what it would do with the cash. "The time is right for Novartis to divest a non-core asset at an attractive price," Novartis CEO Vas Narasimhan said. Novartis said the money would be used by Novartis to expand its business organically as well as for bolt-on acquisitions. In an interview before the deal was announced, Narasimhan ruled out large acquisitions by the Basel-based company. "We want to focus our M&A efforts on bolt on acquisitions that have either new technologies or products that fit into our core therapeutic areas," he told CNBC in an interview recorded on Sunday. For Narasimhan, a Harvard trained medical doctor, the disposal is among his first moves as CEO, a role he took on less than two months ago when he replaced Joe Jimenez. He is now emphasizing the use of technology to boost returns on research investment but Novartis is currently also reviewing its Alcon eye care unit for a possible spinoff to shareholders, which could come in early 2019. Under the 2014 deal to pool their consumer assets, Novartis had the right so sell its 36.5 percent stake to Glaxo from this month. The transaction is set to complete in the second quarter, subject to necessary approvals.